We are exploring moment of inertia from several different perspectives. We’ve felt it experientially, derived equations mathematically, observed its effects, and will measure it experimentally. Today, I performed a simple demonstration of rolling two wheels of equal size and mass but different mass distribution down a slight incline. The wheels experience the same torque and yet clearly accelerate at different rates. 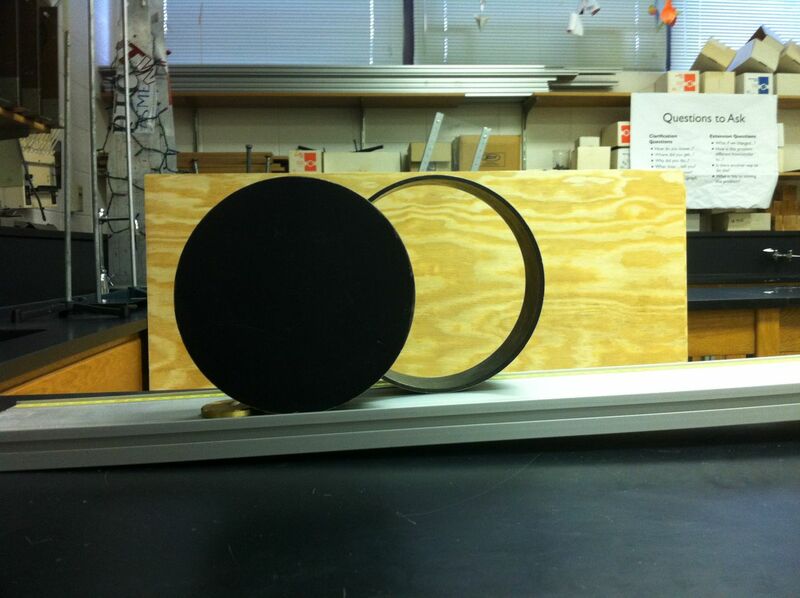 It is a simple, but convincing demonstration of the effect of the moment of inertia of an object. 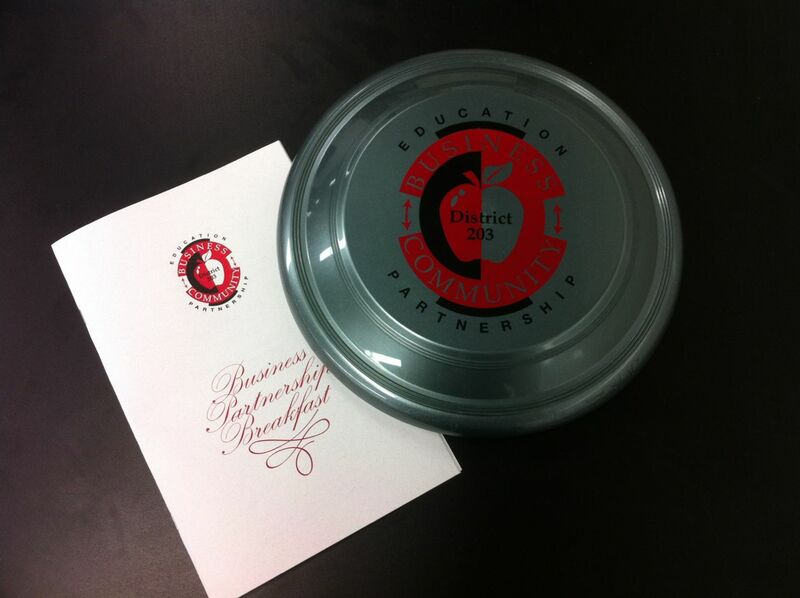 This morning I was at school at 5:30am to prepare for the school district’s Business Partnership Breakfast. I was proud to attend with my colleagues and three students from Huskie Robotics, FIRST Team 3061. We and our partnership with Navistar were being recognized. While addressing those in attendance, I focused on the mission of FIRST and how business partnerships go beyond the financial support that allows us to participate and be competitive and connect employees to students through mentoring. One of the students then shared her experience working with various mentors at Navistar. She did a fantastic job. We ended our presentation with a brief demonstration of last year’s robot. Since last year’s game involved frisbees, the distribute gave everyone in attendance a “business partnership” frisbee to take home! 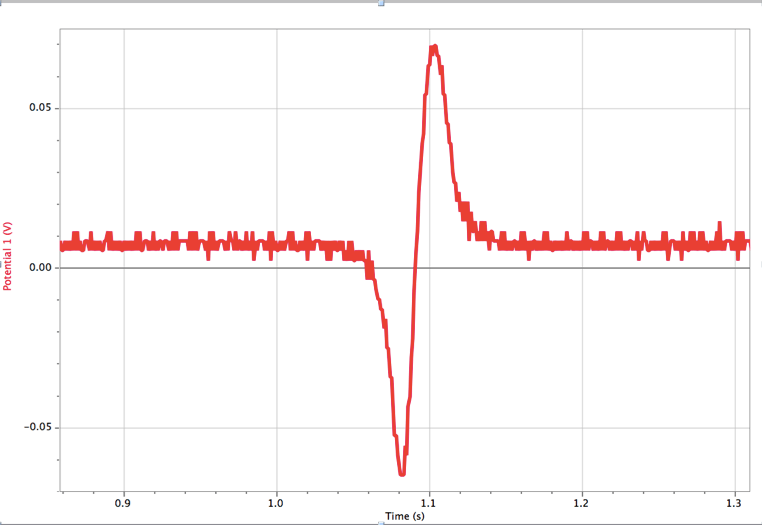 Despite panicking yesterday because I couldn’t find our Vernier instrumentation amplifiers (I’m still not sure I even have some), I was able to find a way to measure the small voltages produced by the Vernier Faraday’s Law – Moving Magnet lab. Instead of the more appropriate instrumentation amplifiers, which I’ve added to my equipment wish list for next year, I used differential voltage probes from old Vernier DIN-based current and voltage kits. The resolution wasn’t great, but with a strong enough magnet, it was sufficient for students to see how the induced emf changes as a magnet is dropped through several loops of wire. I start class by asking students to share their pre-lab sketch of flux vs. time. I capture them all on the whiteboard and tell them to verify which one is correct by analyzing the data collected in the lab. What I love about this lab is the connection that students make that the area of the potential vs. time graph is the change in magnetic flux. 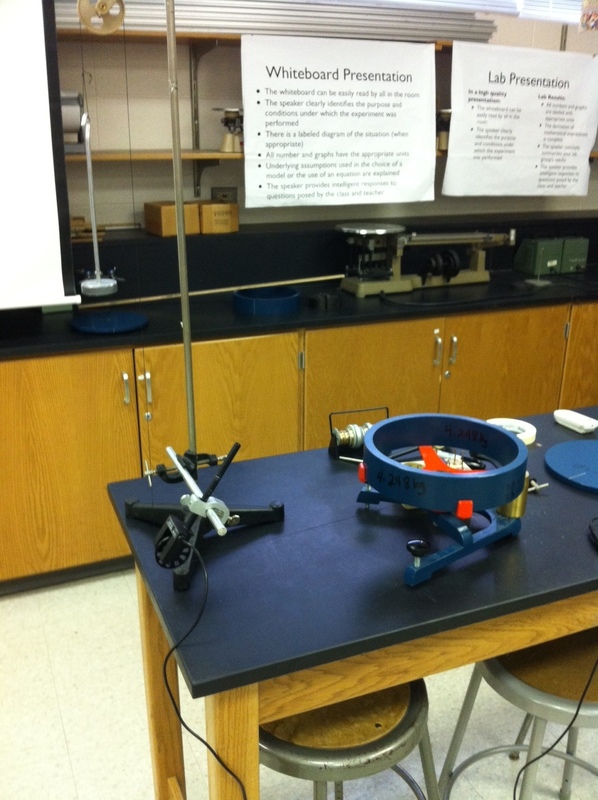 This is a great lab to finish our study of electricity and magnetism. 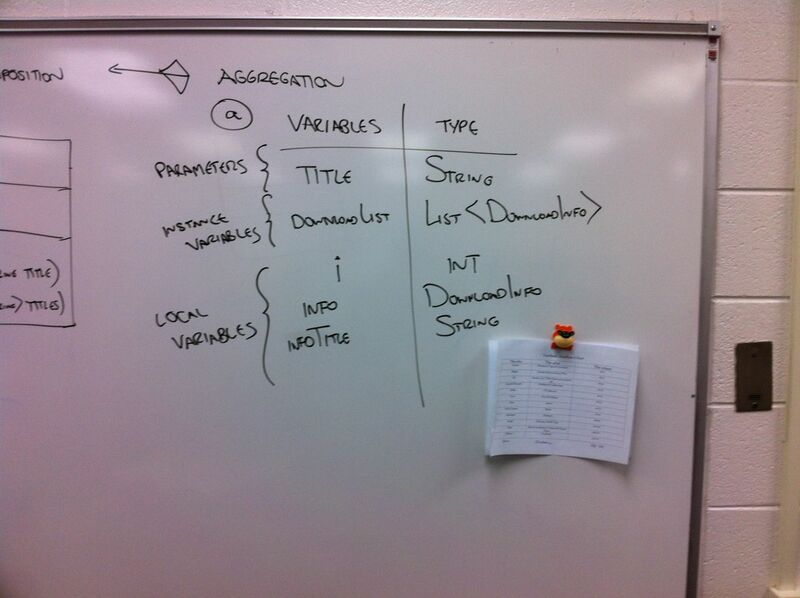 Something that I haven’t been good at is capturing insights during whiteboarding. Sometimes a student asks a really great question that results in a fantastic discussion. Sometimes I have an important question to pose that gets the discussion started. This year, I’m trying to capture this information in my daily reflections so I can consult it in future years. 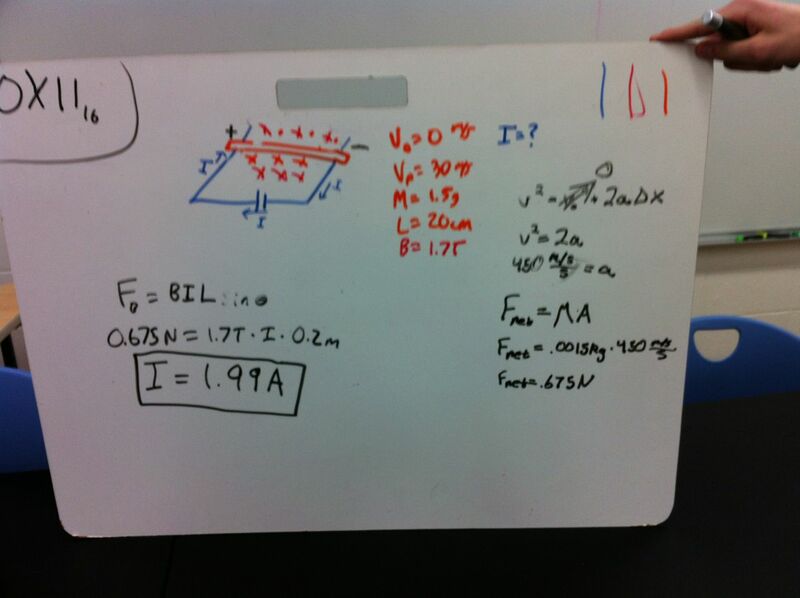 Today’s whiteboard involving a “rail gun” (Giancoli 5e, chapter 20, problem 17) is a great example of this. During my first class, we briefly discussed this problem and moved on. 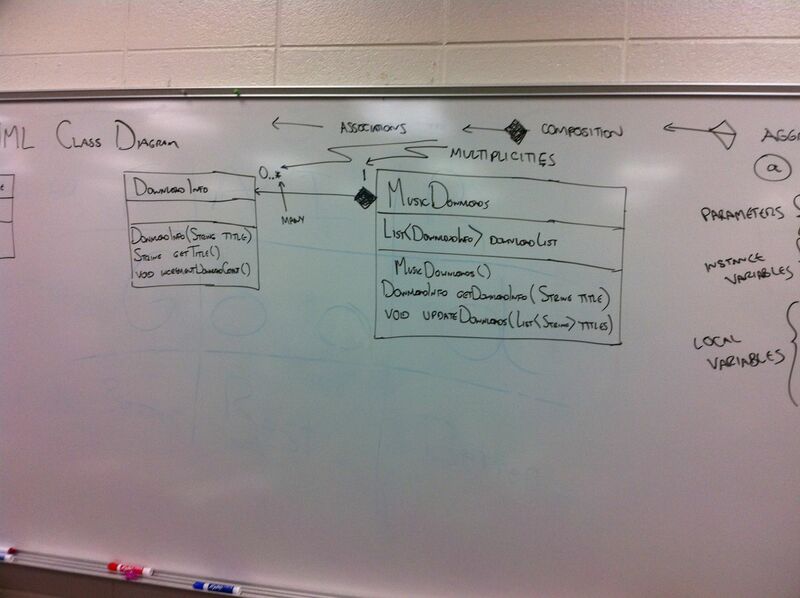 However, during my second class, a student asked about Lenz’s Law and the direction of the current. In this problem, a large current moves in a closed loop which is in an external magnetic field. The light bar experiences a force due to the current in the external magnetic field. The student questioned that the motion should result in an induced current in the opposite direction such that the generated magnetic field would oppose the change in flux. After some pondering, this led to a great discussion of back emf. At least next year, I’ll have this in my notes so all classes can benefit. 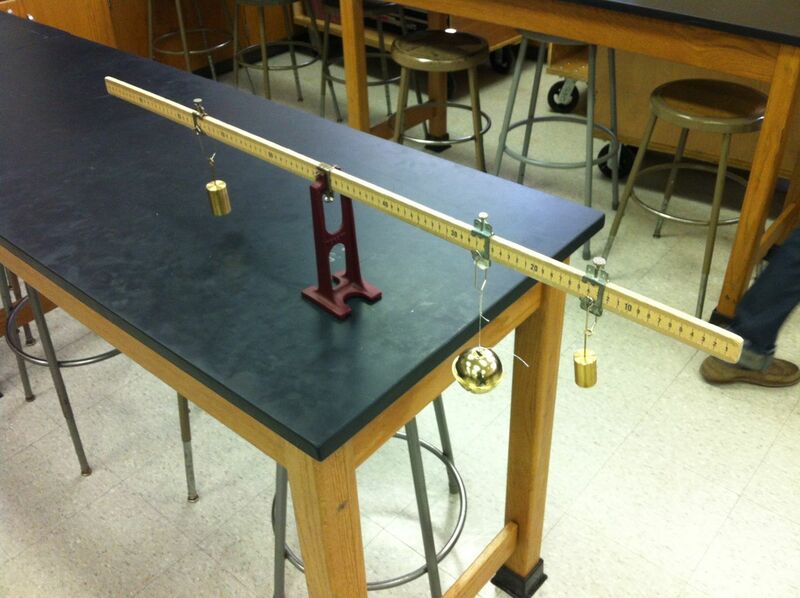 Today we started rotational motion in Honors Physics. We haven’t taught this topic for five year, and I’m thrilled its back in the curriculum. We’re trying to approach it in a modeling-centric manner. 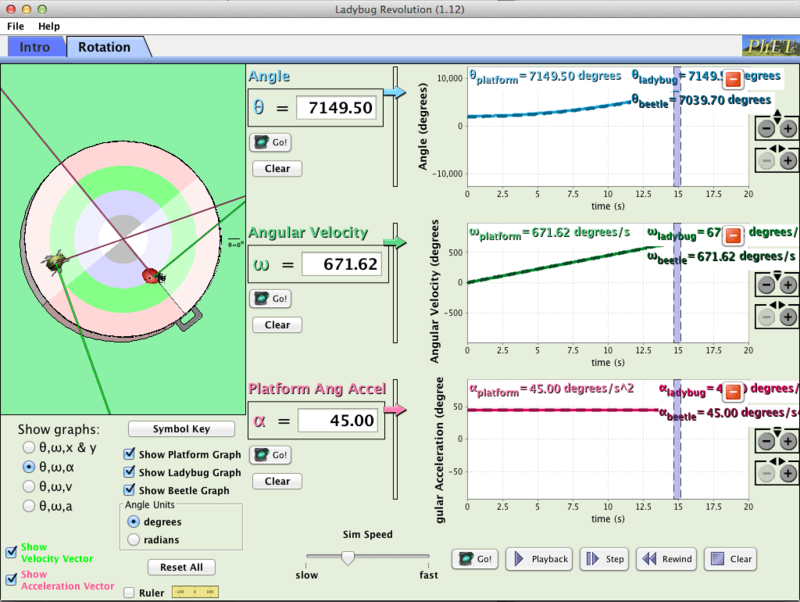 We are first exploring rotational kinematics and our “paradigm lab” was the Ladybug Revolution PhET simulation. 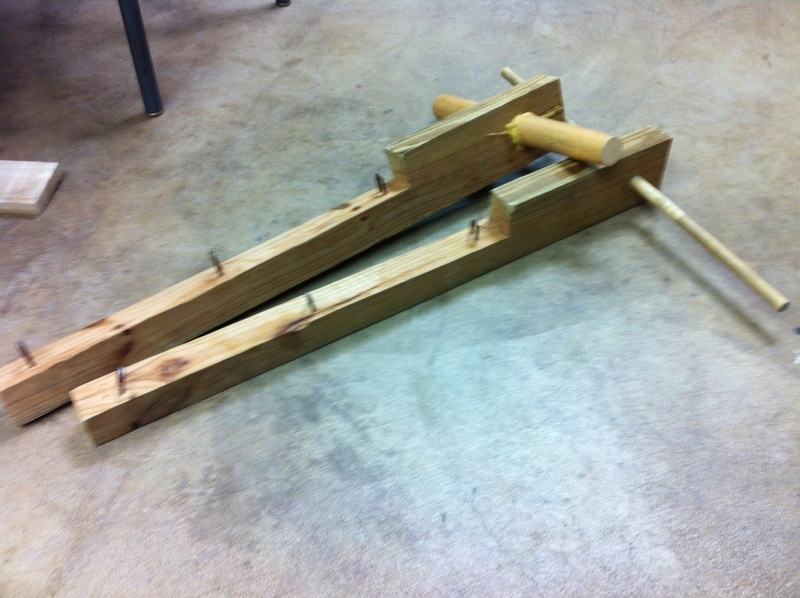 This simulation was a great way for students to explore the quantities of angular position, velocity, and acceleration and compare with their linear/tangential counterparts.